An arborist report is a valuable tool when a tree needs to be removed, trimmed, or preserved on a property. Each county has set forth requirements for information that must be contained in an arborist report. Bay Arborist supplies arborist reports to developers and landowners in Contra Costa, Alameda, San Francisco, Marin, Solano, San Mateo, and Napa counties. An arborist report is a written technical report made by a certified arborist. An arborist report generally provides solutions to tree related issues and supplies expert guidance envolving tree management. Tree Risk Assessment: Landowners have a “duty of care” for tree maintenance on their property. The landowner will be held to this duty of care, determined by a principle of negligence. The landowner must prevent injury to a neighbor’s person or property. A tree risk assessment by a certified arborist helps property owners meet their duty of care pertaining to the hazards and risks associated with their trees. Arborist reports are tools required to help settle legal disputes. Landowners have a “duty of care” for tree maintenance on their property. The landowner will be held to this duty of care, determined by a principle of negligence. The landowner must prevent injury to a neighbor’s person or property. A tree risk assessment by a certified arborist helps property owners meet their duty of care pertaining to the hazards and risks associated with their trees. Arborist reports are tools required to help settle legal disputes. 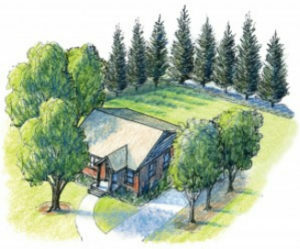 Tree selection, planning and design: An arborist report can help plan the correct tree/shrub planting, irrigation, lighting in a new or re-constructed environment. 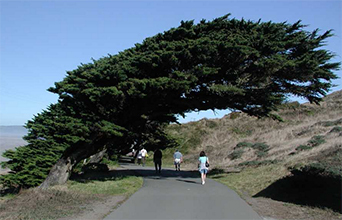 Selecting the “right tree for the right place” saves large sums of money on future maintenance, health, and dispute costs. An arborist can help retain the natural long lasting beauty of a correctly planted urban landscape. Tree health care advice: Expert advice on managing tree health care from early plantings to maturity. Pest and diseases are identified and managed. 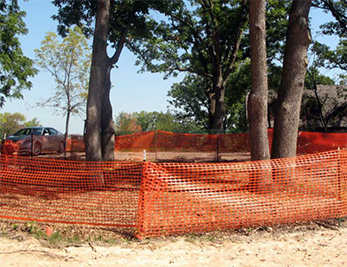 Tree protection during & after construction: Arborist reports are a necessary requirement before land and building construction can begin. Trees that are a county protected species need to be evaluated on how the construction will impact their health and future longevity. Specific details for protective fencing and where roots will be severed within the drip line need to be drawn on the construction blueprints. Unwanted non-protective tree species can be identified as candidates for removal and then reviewed by the county administration. Watering and fertilization may be required during and after construction to insure the continued health of affected trees. The county may also require developers to post bonds that guarantee the continued good health of affected trees. Tree surveys: Arborist report to I.D trees for inventory purposes. Adds better record keeping and a more structured approach to tree management. Estimate – call Tom (510)734-7123 or fill out the form below.